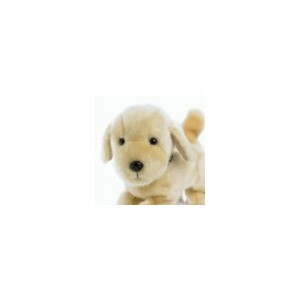 Sandy is a battery powered, toy golden labrador puppy, who walks and barks just like the real thing! Watch him in action in the video below. • Requires 2 x C batteries - Included, only with online purchase • Size: approx. W 28 x H 22 x D 18cm. Batteries provided free courtesy of us! Only with online purchase. Not suitable for children under 36 months old due to small parts • Requires 2 x C batteries - Included, only with online purchase • Size: approx. W 28 x H 22 x D 18cm.